AW Sailboats for ALL Hurricane 5.9 mail order spares service, new boat sales, fully refurbished used boat sales, full repair facilities, personal coaching, trailer boxes, stern supports, sails new and second-hand, complete SX rig packages and many other essential Hurricane goodies and go fast bits ! AW Sailboats generally carries most common spares in stock. 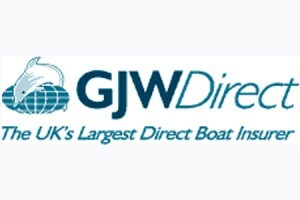 This includes new sails, battens, full covers, trampolines, rudders, centreboards, rudder components and SX rig spares. Please email your requirements for pricing and availability. Found a few broken strands ? Don’t take a risk, experts suggest that a regularly raced Hurricane 5.9 should have the rigging replaced every 2 to 3 seasons, the average Hurricane sailor either waits until it breaks or leaves it for around 6 years ! Take advantage of a complete package which includes a pair of shrouds, diamond wire set, 4 trapeze wires with adjuster cleats, jib halyard, bridle wires, forestay lower, forestay upper, all for £355 including carriage . The new and exciting SX rig differs from the standard 5.9 with the inclusion of a self tacking jib system, a grp spinnaker chute designed specifically for the 5.9, a silicon coated spinnaker plus the additional spinnaker pole hardware, standing and running rigging. The SX rigged boat is also produced in white with silver mast, spinni pole and beams and grey trampoline. Hull, deck and foil mouldings are produced by White Formula, platform set up, fitting and finishing, full rig set up and commissioning completed by Andy Webb of AW Sailboats. In November 2003 the Hurricane SX rig design was adopted. This is primarily a one design bolt on package with self tacking jib system and class specific spinnaker chute/sail design. This rig has revolutionized the Hurricane in three sail mode offering easy handling, a favourable SCHRS rating for competitive handicap racing which now puts the 5.9 on par with the new designs optimized to the SCHRS system. It also gives the owner two boats in one as the rig is easily changed back to two sail mode for the standard circuit or sailing with newcomers and family. Since the production kit was made available in January 2004 over 100 Hurricane sailors have converted their standard rigged boats to the SX rig. AW Sailboats has offered a brokerage service on used Hurricane 5.9’s for over fourteen years. The majority of sales are completed following full refurbishment. This process will take anywhere from 3 to 5 days depending on the age and condition of the boat. The standard service would include gelcoat repairs to the hulls, refresh of non slip on gunall edge, gelcoat repairs to rudders and centreboards, full machine polish and hand finish to hulls/foils. Standing rigging check, replacement of running rigging as required, condition check of sails and trampolines, full rig tune/set up for the new owners together with a step by step rig up from the trailer back down to a trailer load up if required. The aim of the service is to supply a boat in full race condition ready for the owner to just add water and go ! AW Sailboats will consider part exchanges on other cat or dinghy classes, please email direct. Refer to http://hurricane59.myfreeforum.org/forum6.php for details of used Hurricane 5.9’s. Please bear in mind that AW Sailboats refurbished boats will be priced higher than privately owned boats due to the extensive amount of preparation, many new members to the class find that it is well worth the additional cost for the full sales support and back service.